This page contains information about the Social Liberal Peoples Party. The Social Liberal Peoples Party promotes an open society, human rights, freedom, moderate market regulation, multiculturalism and international cooperation. This party is not part of the national cabinet. 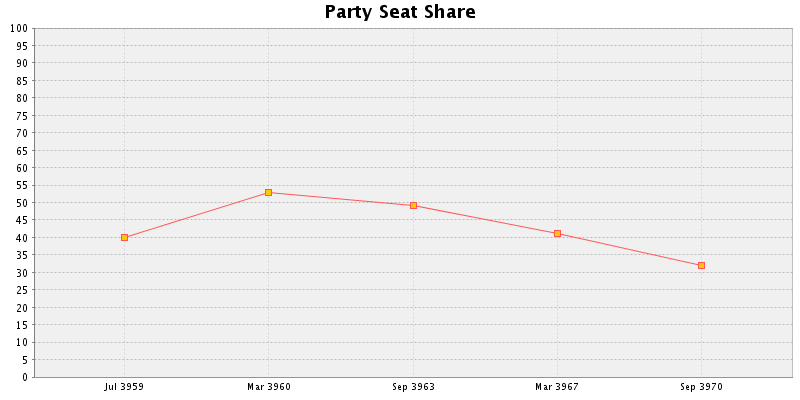 This graph shows the percentage of seats the party achieved in each election, relative to its maximum. 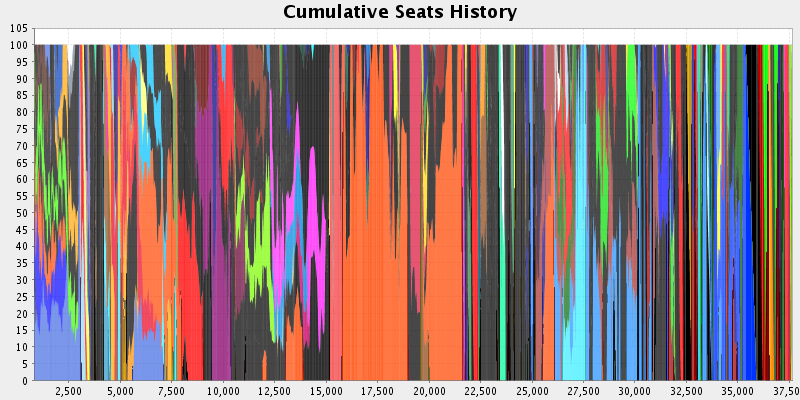 This graph shows the percentage of seats the party achieved in each election in the entire legislature. 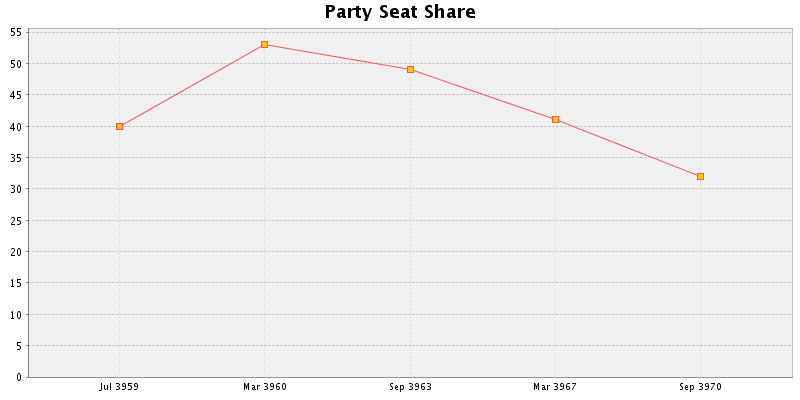 This graph shows the share of seats the party achieved in each election in the entire legislature, together with the share of other parties. You can view the party's proposed bills here. This is the voting[?] record of the Social Liberal Peoples Party. Random fact: Players are expected to behave in a courteous, co-operative manner and make a reasonable effort to act with the consent of all players involved, even where the rules do not make consent strictly necessary. In particular, players have a responsibility to take reasonable care that other players are not misinformed either about the role-play or the Game Rules.